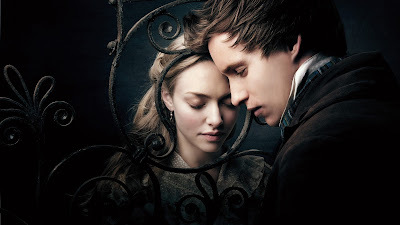 Cosette (Amanda Seyfried) with Marius (Eddie Redmayne), Les Miserables. Les Miz is in leading in my best picture poll. What movie has your vote as the creme de la creme of 2012? You know that I am now going to finish the book before seeing the movie, but I am halfway there! I only read on airplanes and while on a bike at the gym, so it is not as if I am just sitting with the book. Clearly you spend much more time in airplanes and at the gym than I do :)... halfway there is a lot though! I look forward to hearing what you think. Have a wonderful week, Genie!